Our Recent Q & A with Mark! When did you first discover FiveFingers? Nine years ago a kayaker friend turned me onto them. I thought they’d be great for SUPing and surfing in rocky waters. Favorite pair and why: The discontinued golf shoes, because they are the most awesome turf shoes ever for playing Ultimate (Frisbee). How have FiveFingers changed your life (if they have! ): I literally haven’t worn any other type of shoe for seven years. I just attended a wedding this weekend in a suit and discontinued black kangaroo leather KSO Treks. My feet are stronger at age 63 than at any time in my life. What's the most popular question you get about FiveFingers? Where can I get those? What would you like to see in FiveFingers' designs in the future? Design more street wear and casual shoes that look good; bring back the original KSO leathers that could be worn easily as casual shoes at work; bring back a more robust version of the golf shoe and reposition as a turf “cleat” alternative. What accomplishment are you most proud of? Creating a lifestyle brand (Primal Blueprint) that has made a positive impact on millions of people. If you could eat only 3 foods for the rest of your life, what would they be? Lamb, broccoli, coconut butter. What’s the most courageous thing you’ve ever done? Quit my job at 43 with a wife and two kids and with no money in the bank to start my company Primal Nutrition. What is the best piece of advice you’ve received? An investment in yourself will always be the best investment choice. Favorite FiveFinger(s): my favorite model of Vibrams is (still) the golf shoe which actsas a perfect turf shoe when playing Ultimate or any activity that involves running on grass. I also like the old (discontinued) KSOs made of Kangaroo leather (KSO Trek) as a perfect casual shoe (or for weddings and funerals). And the latest KMD evo for it's rugged construction. I'm a former endurance junkie turned fitness and health guru. I teach people how to become fat burning beasts and how to live their most awesome lives in the process. I've worn Vibrams almost exclusively for nine years. They've helped change the way I view our connection with the world. 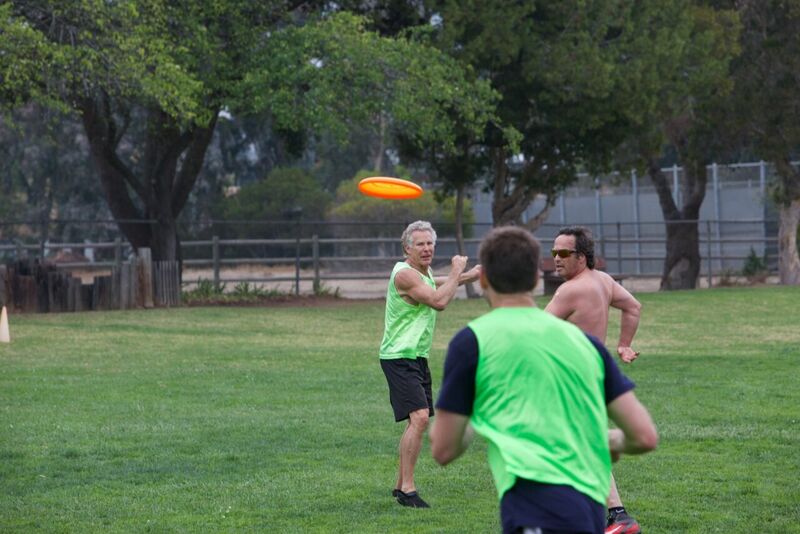 I live in Malibu with my wife of 25 years, where I enjoy SUPing, snowboarding, slacklining and Ultimate Frisbee.